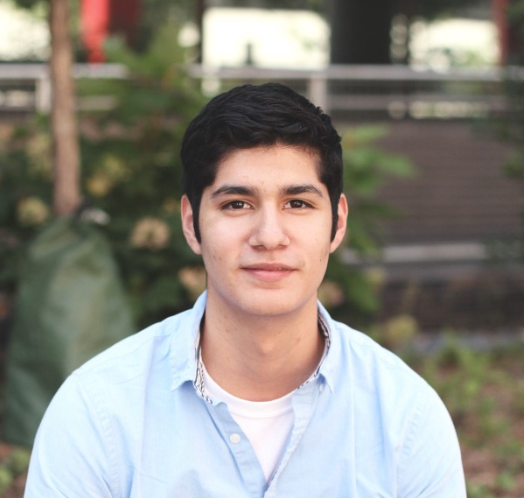 Uriel Baez is a Junior @ Penn. He studied at Horizons in the summer of 2016 and is currently taking a semester off of school to work for Naadam Cashmere in New York. Naadam is a portfolio company of Horizons founder, Edward Lando. You can read more about his story below! When did you decide you wanted to be a CS major? Why? I was “Curriculum Deferred” my first year and took a few Mechanical Engineering courses, but they hadn’t really excited and interested me as much as I had hoped. I knew I had to try something else, and since I had taken a CS course in high school and enjoyed it, I decided to give CS a shot. After taking a couple CS courses I found myself thinking all the time about all the code running things in our daily lives that goes completely unnoticed and taken for granted. I had to know more, so I officially declared as a CIS major as a sophomore. Why did you chose to attend Horizons? Before even knowing that Horizons existed, I was already feeling a little let down by the CS courses at Penn. My older brother is a software engineer and I had always been interested in learning how to build web and mobile apps, yet halfway into college I felt that I had learned next to nothing about how to actually build software in terms of what the process is like and what technologies are used. I had tried googling for resources on how to get started but it seemed that every link was telling me something different or trying to sell me a product. All I wanted was straight-to-the-point, no BS software engineering, and from conversations with Horizons’ founders it sounded like that’s exactly what they wanted to give their students. What was your favorite part of Horizons? My favorite part of Horizons was the Speaker Series. Once or twice a week, we had guest speakers either visit us in person or call in via Skype/Google Hangouts. These were insanely smart and successful people in the world of tech, ranging from start-up entrepreneurs that shared their personal stories of successes and failures that have shaped their companies, to established senior software engineers that shared their secrets of productivity and team management, to heads of VC firms that gave us insight to how they choose who and what to invest in. Just the variety and amount of knowledge about the tech world that I gathered from the Speaker Series is invaluable. How much CS experience did you have before Horizons? I had been coding for a year and half in classroom environments. I understood data structures, basic algorithms, mathematical foundations of CS, and low-level programming. Essentially, I fully understood the fundamentals of CS, but I was by no means a coding genius. How did Horizons help you as a CS Major? Any advice for CS majors thinking about Horizons? The best thing Horizons did for me to help me as a CS major was to reinvigorate my passion for learning about technology. Penn doesn’t do a great job of keeping students excited about their theory-heavy CS curriculum, but being immersed in the world of tech and keeping up with amazing new advancements being made every day made it easier to stay passionate about my major. Through Horizons I also learned about better work and lifestyle habits (through the Speaker Series, instructors, and classmates) that made my productivity and work ethic increase 10 fold, which made staying focused on my short and long term goals much easier. How did Horizons change how you think about your career goals? Horizons totally changed my perception of available career opportunities. Needless to say that at Penn there is a huge emphasis on finance and everyone wants the most prestigious everything, so everyone either wants to get into FinTech, or work for one of the tech giants (FB, Google, Microsoft). I saw myself just applying to any and all jobs and settling for the one with better salary/benefits. Horizons opened my eyes to the huge variety of opportunities available to someone with the skill set of a software engineer outside of finance and tech giants. I started to reflect and became a lot more self-aware of my own values and of what impact I’d like to make in the world. Those personal values of mine are what will guide my career decisions and opportunities I decide to take on in the future. Your taking a year off of school to work as an engineer! That’s insane. Tell us more about the company you are working for, how you got the gig and what your most excited about! I’m working for a New York start-up called Naadam. They’re looking to disrupt supply chains for raw materials of luxury fashion. Right now their focus is sustainably sourcing cashmere directly from goat herders in Mongolia, bypassing traditional middle men in the process. It’s innovative and ethically conscious, and the more I learn about their long-term goals the more excited I am to be a part of the big growth phase they’re in right now. I was first introduced to Naadam’s CEO by one of Horizons founders through email. They were looking for someone to take charge of technical oversight of their current website and the build of a coming re-design to the site. This was right in my wheel house, so we set up a phone call and we immediately clicked. After passing a technical test with flying colors and a few more conversations, they made me an offer. So far, the experience has been great. Every day when I come in to work I have to be on my toes, as sometimes I’m asked to add functionalities or features to the site on short notice. It’s exciting, and I’m loving the culture and feel of the company that allows every person to play a valuable role in creating something bigger than all of us. What was your biggest learning from last summer? My biggest learning from last summer was more than just the technical skills of a software engineer, it was also the soft skills of navigating the job/internship search. A great resume, knowing what to expect in interviews, and understanding what hiring managers want to hear have all set me up for great success in the early stages of my career.